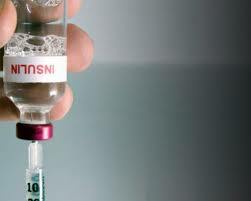 Does insulin make you fat? Insulin makes you fat? It’s an issue covered in an article that I read with great interest this morning. A recent study suggests that having high levels of insulin in your body will cause you to store body fat. The question, therefore, is whether insulin is an appropriate treatment for someone with Type 2 diabetes if they are already overweight or obese? It’s a question that I have posed as part of the RebalanceDiabetes programme for some time. But in my mind it certainly doesn’t stop with people with Type 2. What about Type 1s too? So is the excess fat a result of the carbs, a sedentary lifestyle or the insulin itself? Well it’s certainly true that when someone with Type 1 has been using insulin for a few years weight gain is a common ‘side-effect’. Several of my own Type 1 clients have referred themselves to RebalanceDiabetes to shed the extra pounds because they know that despite maintaining the same diet the pounds have crept on since they introduced insulin into their daily regime. In clinical trials, it’s quite normal to find differing views. Where insulin is concerned some trials from about 2006-7 associate insulin with having an anti-inflammatory effect on the body. Recent reports, however, claim that HIGH levels of insulin are associated with causing inflammation in the body. Well, if these later views are shown to be correct then they would certainly support that insulin can make you fat, because obesity is increasingly seen as an inflammatory condition – along with Type 2 diabetes, insulin resistance and heart disease. There is a gathering body of evidence that a high level of insulin is linked with inflammation and weight gain, and this issue has been reported also earlier this year. So what to do? Well, as in the old adage – better safe than sorry! By eating to minimise the need for insulin you’ll be keeping yourself safe – safe from inflammation, from increased insulin resistance, obesity etc. I’ll be very happy to show you how! Type 1 diabetics being let down by inappropriate nutritional advice? I was intrigued this week to read an online discussion about the nutritional advice and examples being given to people with Type 1 diabetes via the most commonly delivered education programme, DAFNE. It’s a tricky problem isn’t it? Type 1 diabetics need to take insulin – there’s no getting away from this simple truth. But there is a whole lot of subtlety about how to get the best outcomes by using foods and insulin in the most intelligent and appropriate ways. I can completely appreciate the temptation for someone with Type 1 to eat whatever carbs they fancy knowing that on one level an insulin injection can compensate, by bringing blood glucose back into acceptable levels. What that insulin injection cannot compensate for, however, is the fact that those sugary, high carb foods have great potential to cause weight gain, belly fat, systemic inflammation, high cholesterol, insulin resistance and more. In this sense someone with Type 1 diabetes is no different from a non-diabetic. High carb diets are intrinsically linked with weight gain, obesity and the risk of developing serious diseases – FOR EVERYONE! So to actively encourage anyone at all to recklessly indulge in sugary, high carb foods is irresponsible. To tell anyone that it’s OK to eat copious amounts of sweets, cakes and biscuits is irresponsible. To do that within the context of a course delivered at the expense of the NHS – remember the taxpayer will pick up all the future bills for the consequences of this advice – is irresponsible. To encourage this in a person with Type 1 diabetes is worse – and that’s because injecting insulin brings with it significant side effects – as I covered in my last blog post. Insulin is not a benign medication. Just because it is a natural hormone doesn’t mean that having large amounts present in the blood stream is desirable, or even OK. Large amounts of insulin comes with risks! People with Type 1 diabetes know that over time weight gain is likely: this is one of the signs that the carb balance for their lifestyle is wrong. More than weight gain, they will experience complications from the effects of the disease and the medication, and are likely to die several years before their non-diabetic counterparts. We really need to understand that when we put food inside our bodies it has an effect. We all have a choice whether that effect will be beneficial or harmful. But we only have a real choice if it is based on sound knowledge of what that effect will truly be. The role of carbs is to provide energy. If we don’t expend energy, we don’t need many carbs. If we don’t need many carbs but consume them anyway they will be stored – as body fat. ALWAYS! Even when someone with Type 1 diabetes resolves any blood glucose crisis with a shot of insulin, those extra carbs will still be turned into body fat. So we have to get away from the idea that insulin can make it all alright to overdo the carbs. It can’t, it won’t and it doesn’t! Last week one of my RebalanceDiabetes guys, a Type 1 diabetic, reported back that since he had started to tailor his carb intake to match his lifestyle and activity levels, he has lost 6lbs of belly fat, halved his insulin use, and feels better in himself for as long as he has been diagnosed. IN JUST 2 WEEKS! DAFNE is the acronym for “Dose Adjustment For Normal Eating”. Where carbs are concerned we have to redefine “normal eating”. In the past few decades our lifestyles have become increasingly sedentary, yet we have failed to reduce our carb intake to match that. We still consume carbs as if we had the activity levels of previous generations. In fact we consume MORE carbs now – more sugars than ever are loaded into our daily diets. We are paying the price – with our health! Activity on the decline, carbs on the up = disease on the increase! I am all for individuals having freedom of choice. If you choose high carb – well OK. If you choose to match your carbs with your lifestyle – fantastic. But one thing is for sure – education should at least provide the proper information on which those choices can then be more intelligently made. Let’s make our diabetes education at least responsible for providing the right advice and examples – the rest is then down to the individual. They will make their own choices based on their own self-worth not on the basis of incorrect or incomplete information. If our healthcare educators cannot deliver quality advice or better examples, then how do expect individuals to get it right for themselves? There is something quite shameful about not taking the opportunity to encourage those who are motivated to take responsibility for their own health.